Evie has such a unique and inspiring story. She was born with just one ear and on the side where she doesnt have an ear is where spirits talk to her. When she was a child, she thought that she was hearing the voices of angels. The voices were always loving and helpful and gave her messages about the people around her. 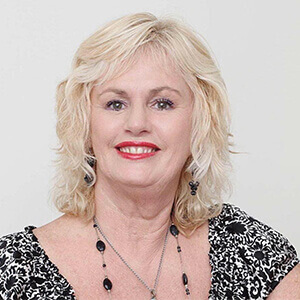 When she became a Kinesiology practitioner and lecturer over 20 years ago, she came to understand that the voices were the spirit guides of the people she was working with and they always had helpful insights for them. Eventually, her clients wanted to know more about the information the guides had for them than the Kinesiology, so the readings grew organically and took over from the Kinesiology practice. Because Evie channels YOUR spirit guides, who know and love you the most, the information that comes through is detailed and practical. She provides all the answers you need and there is also often a simple healing technique passed on from the guides to allow you to let go and move forward. Evie is available for Psychic Readings, Clairvoyant Readings and Spirit Guides Readings. Evie is a lovely and sensitive reader with spot on accuracy and my house sold within a week of her reading. Absolutely incredible but with such positivity and understanding. Gave me goosebumps but am now on a very happy path with her help. Highly recommend her. Evie is absolutely Amazing! She is spot on and will surely recommend her to my friends. Our conversation left me feeling confident in what steps to take next to create a life filled with greatness, joy and service. Evie's reading came into my life at exactly the right time. She is a straight shooter and I love that. She confirmed all of the signs, thoughts and feelings that I have been receiving from my angels and the universe without me even saying anything. Our conversation left me feeling confident in what steps to take next to create a life filled with greatness, joy and service. Thank you very much Evie for the wonderful reading. Evie will call you on either your landline or mobile. You can pay by credit / debit card or PayPal.